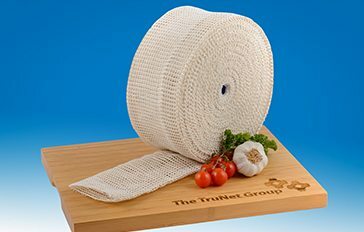 Trunet’s meat netting is produced from a circular knitting process by combining polyester yarn and food grade covered elastic yarn. The product is commonly used in the meat and poultry packaging industry. The conventional netting is perfect for all types of meat (turkey, chicken, lamb, gammon, pork or beef) with different style of cooking (boil or roast). 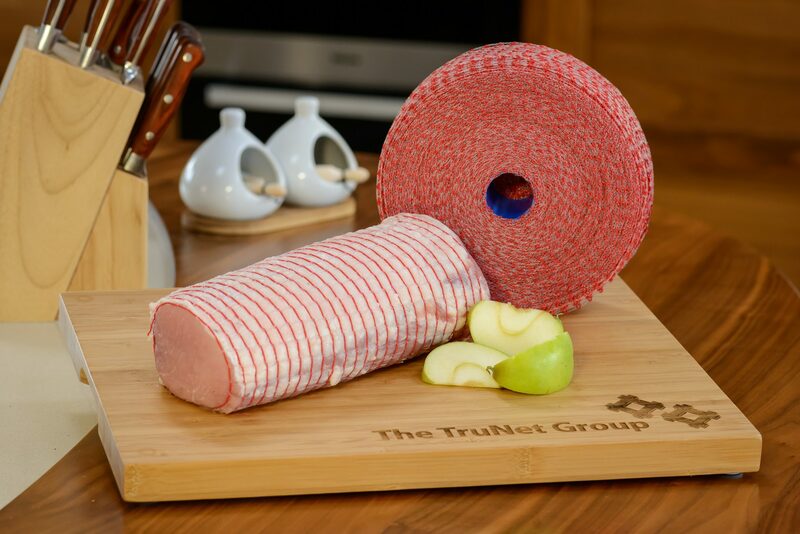 With its superior quality, the netting maintains the shape of the meat for better presentation and hygienic handling. The patented Total Control Net (TCN) is the world’s only elastic netting with a pre-set fixed diameter. 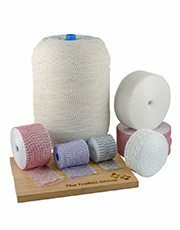 The unique product is a revolution in netting technology. Available in all of our color variations. All available in 7, 8, 10, 12, 14, 16, 18, 20, 22, 24, 26, 28, 32, 36, 40, 48 and 64 squares. Available in a range of sizes from 75mm to 300mm, roll length of 50m or 100m. Our facility is BRC certified ensuring highest standard in the manufacturing of our products.